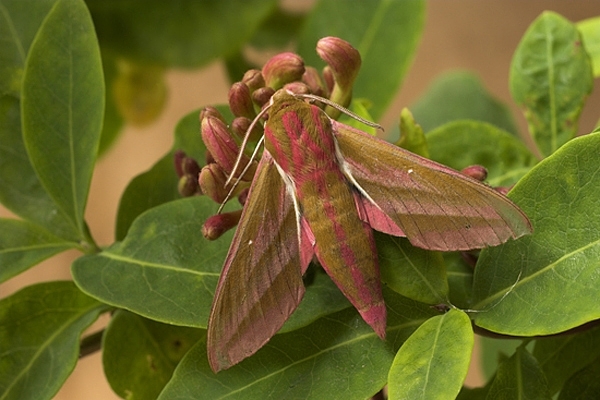 Home | Insects | Elephant Hawkmoth. Photographed on honeysuckle in my garden in Chirnside,Berwickshire. Canon 1D Mk11N camera,90mm lens,1/5sec f16.